When I took my nieces to Starbies, I was appalled at these 2 ladies- LINGERERS to the MAX!! 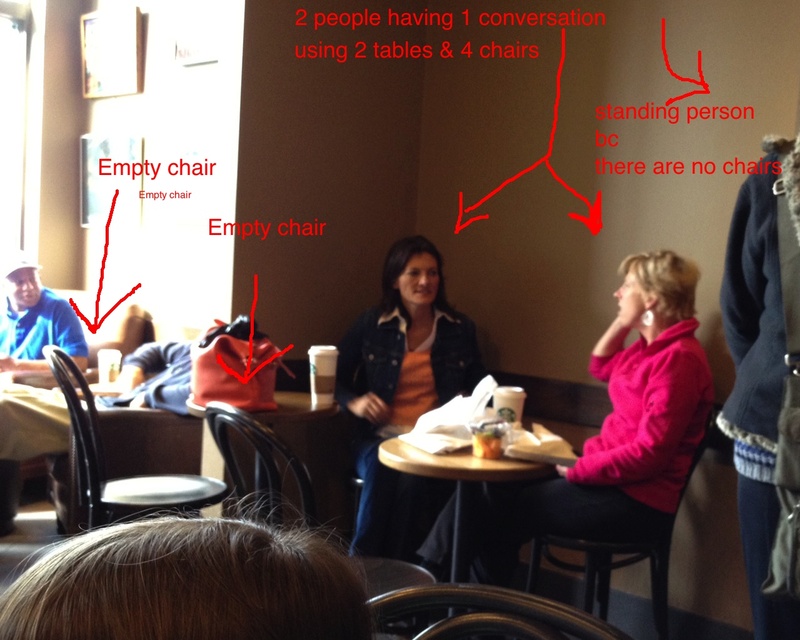 Why can’t you guys just sit at 1 table using 2 chairs, having your 1 conversation?!? I just called you out! !